Mrs. Barbara Fuller’s teaching history began with 5 years in the Peace Corps in Liberia, West Africa. Following her global adventure, Mrs. Fuller has played an instrumental role at all three New Way Academy campuses for over 26 years. Her undergraduate Elementary Education degree is from the University of Missouri, followed by a Master’s degree in Learning Disabilities from Arizona State University. 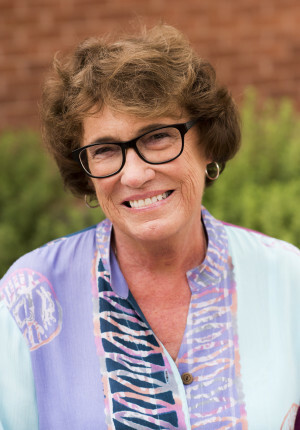 When dyslexia became her main interest, she studied to become a Certified Academic Therapist and then completed certification in the Wilson Reading System. Mrs. Fuller has been a long-standing expert on dyslexia, helping hundreds of children at New Way learn to read. Alumni students are often seen on campus, stopping in to thank Mrs. Fuller for giving them the best gift of all, learning how to read! Besides attending Wilson’s continuing education programs each summer, she has been known to take part in our Scholastic Book Club activities, with plenty of help from dedicated parents. All non-academic pursuits revolve around Choco and Chula, her Standard Poodle children.